● Started 32nd, finished sixth. ● Busch started deep in the field in 32nd, but he didn’t stay there long, moving into the top-20 by lap seven, top-15 by lap 18 and top-10 by lap 35. 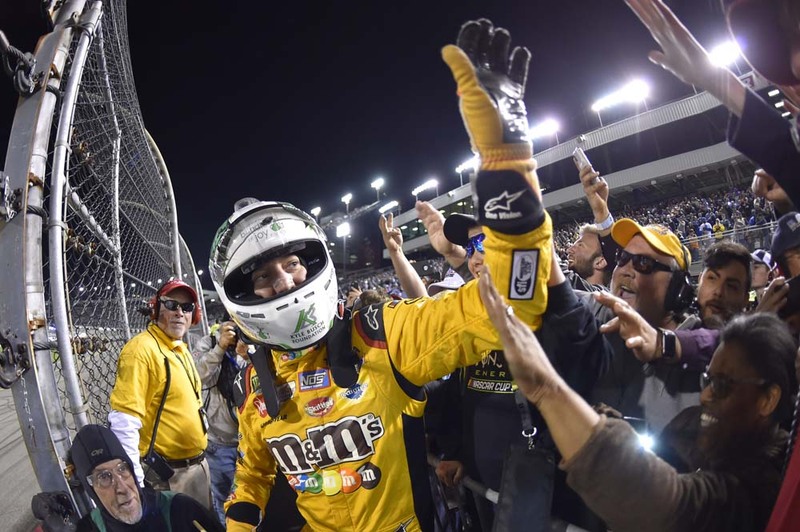 ● The M&M’S Flavor Vote driver’s progress up through the field slowed over the last half of Stage 1. 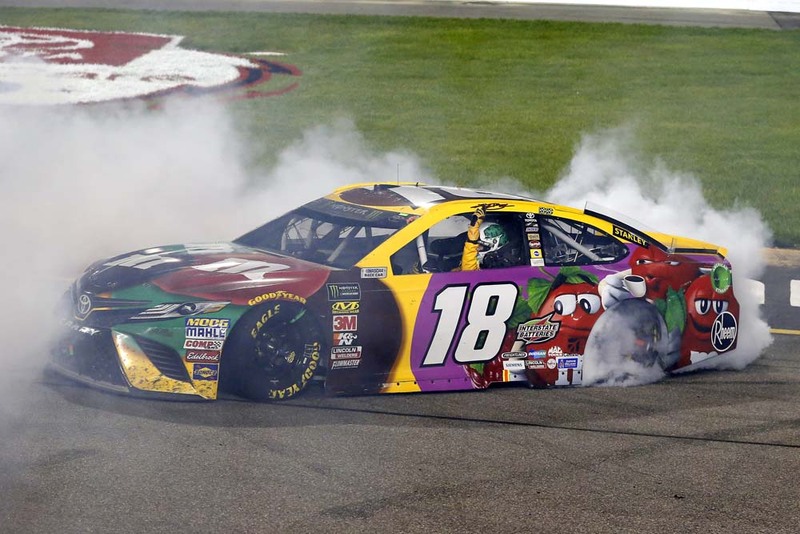 ● Busch was battling a car that was getting a loose condition as the run wore on, yet he had moved up to sixth by the end of the 100-lap Stage 1. ● Started fourth, finished sixth. ● The M&M’S Flavor Vote team performed quick service on the first pit stop of the day on lap 105, vaulting Busch from sixth to fourth when Stage 2 got underway. 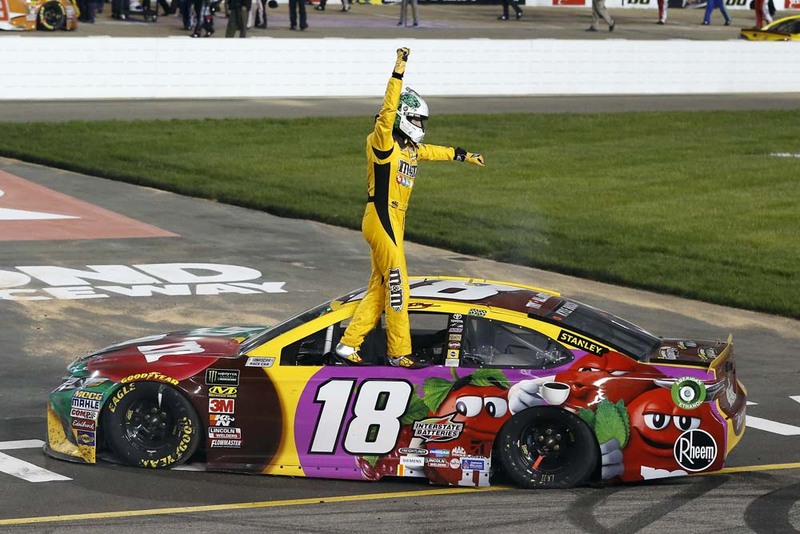 ● Busch quickly moved up from there and held the runner-up spot by lap 139. ● However, Busch started to experience some handling issues halfway through the run. 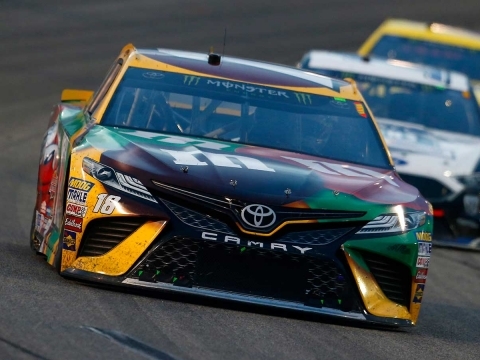 He radioed to crew chief Adam Stevens that the M&M’S Flavor Vote Toyota was loose mostly on entry and exit of each corner, and he had dropped to fifth by lap 169. ● Busch fell to sixth as Stage 2 concluded. ● Started sixth, finished first. 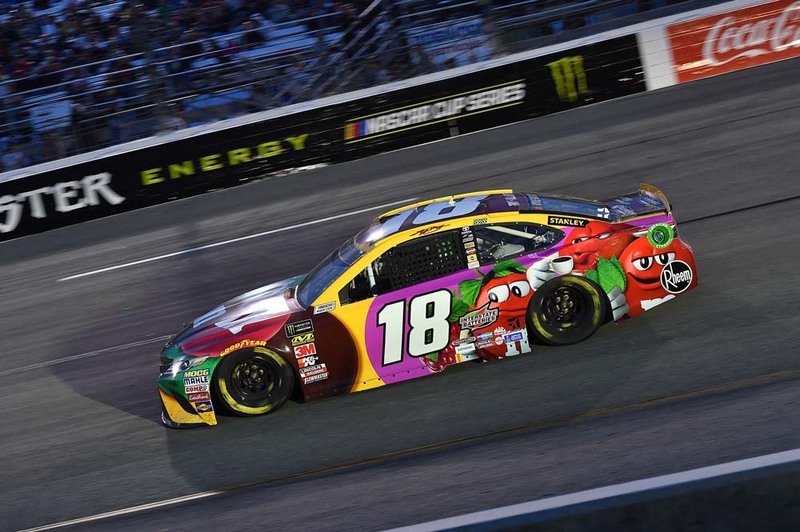 ● Busch moved up from sixth to fourth quickly after the start of the third and final stage, but handling issues resurfaced as the run wore on. He pitted on lap 274 for tires and air pressure and wedge adjustments, then cycled out in fourth once everyone had pitted. ● Busch settled into fourth until the caution came out on lap 331, and he pitted on lap 333. 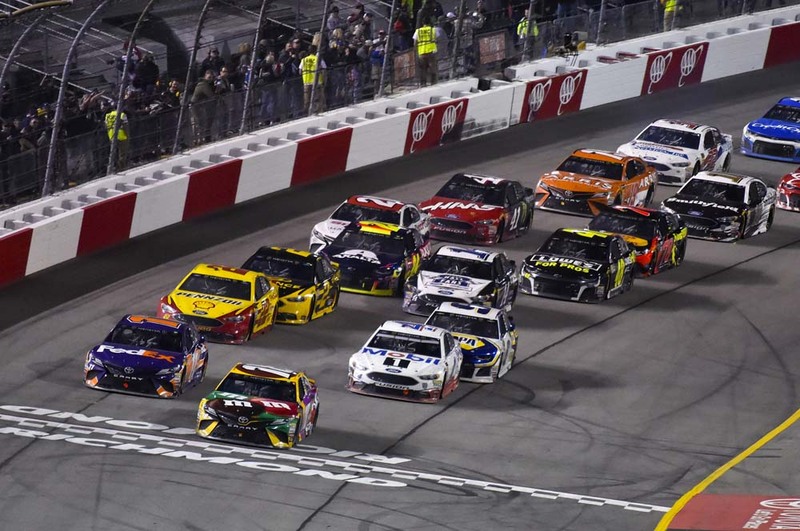 ● The 2015 Cup Series champion jumped to second on the ensuing restart, but the caution waved again on lap 361, and Busch pitted for tires on lap 362. ● Busch was running second when yet another caution waved. This time, on a lap-370 pit stop, the M&M’S Flavor Vote crew’s quick work vaulted Busch to the lead, which he was able to keep during two more cautions and one final pit stop. ● Busch won the Toyota Owners 400 to score his 46th career Cup Series victory and his third consecutive win of the season, after winning at Bristol (Tenn.) Motor Speedway on Monday and at Texas Motor Speedway in Fort Worth two weeks ago. His margin of victory over second-place Chase Elliott was .511 of a second. ● The 46th career victory for Busch moved him up to 15th on the All Time Cup Series win list, tying him with NASCAR Hall of Famer Buck Baker. 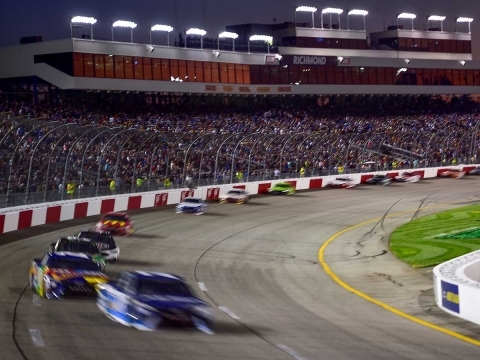 ● Busch’s victory was his fifth Cup Series win at Richmond, the most at the three-quarter-mile short track among active drivers. ● There were six caution periods for a total of 46 laps. What does it feel like to be in victory lane for the third consecutive race? How cool is it to win three races in a row? How were you able to make your way through the field early in the race? Have you ever had this much momentum in your career with three straight wins and seven consecutive top-three runs? Next Up: The next event on the Monster Energy NASCAR Cup Series schedule is the Geico 500 on Sunday, April 29 at Talladega (Ala.) Superspeedway. The race starts at 2 p.m. EDT with live coverage provided by FOX.